A dental implant is an artificial tooth root that is placed into your jaw to support crowns replacing single missing teeth, bridges that restore a larger span of missing teeth or even dentures. Implants are manufactured from titanium, a metal that is known to be compatible with body tissues and able to bond with adjacent bone during healing. Dental implants may be an o ption for people who hav e lost a tooth or teeth due to periodontal disease, an injury or any other reason. Dental implant is essentially a substitute for a natural root and commonly it is screw or cylinder shaped. Each implant is placed into a socket carefully drilled at the precise location of the intended tooth. The main aim during installation of any implant is to achieve immediate close contact with the surrounding bone. This creates an initial stability. which over time is steadily enhanced by further growth of bone into microscopic roughness on the implant surface. In order to support replacement teeth, dental implants normally have some form of internal screw thread or post space that allows a variety of components to be fitted. Once fitted, these components provide the foundation for long-term support of crowns, bridges or dentures. Almost all dental implants in use today are made from titanium or titanium alloy. These materials have been shown over many years to be well tolerated by bone or in medical technology term it is very tissue-friendly. Until this day, no allergies are known towards titanium. Three components, i.e. 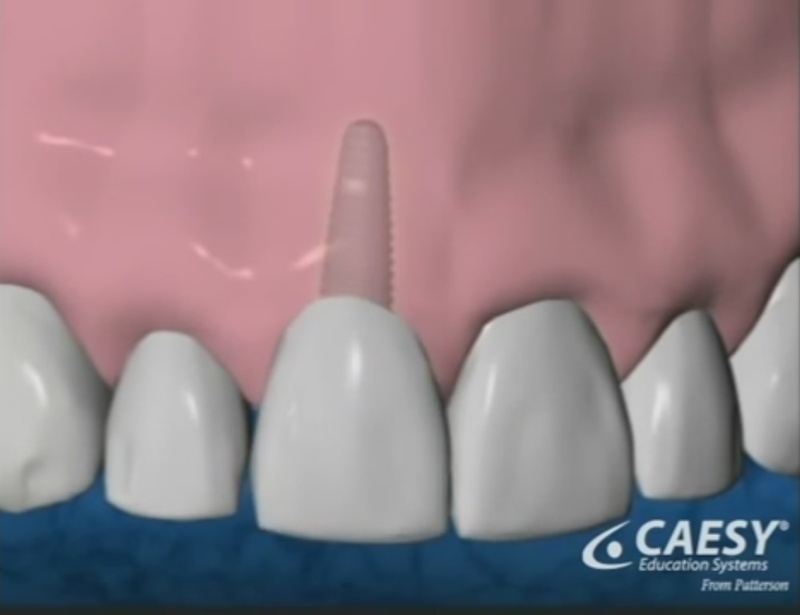 the implant, the abutment and the holding screw are combined with one another. Different sizes and forms allow dentists to find the best solution for every indication. Usually it is hard to tell the difference between the original tooth and the implant supported crowns. Replacing the missing teeth by means of implant dentistry will provide you better comfort, aesthetics and harmony of your face with better function in smiling, chewing and biting. The demand for this form of modern dentistry, which has now been available for more than 30 years, is increasing continuously. Although they are initially more costly, implants in the long run certainly represent the more economical solution over conventional crown or bridge treatments. If you have good general oral health then dental implants will almost certainly work for you. However, habits such as heavy drinking or smoking can increase the number of problems associated with initial healing and thereafter may negatively influence the long-term health of gum and bone surrounding each implant. If you have any other complicated medical problems that you think might affect your suitability for implants then please speak to us, we will be able to get your situation quickly assessed although, it is rare to have health problems that prevent the use of dental implants. 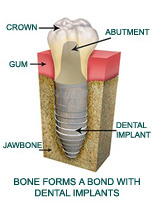 An implant represents a valuable investment that results in great benefits to you. In optimal circumstances, implant-supported dental works can work against the bone resorption that causes edentulous jaws. With better functioning and appearance, implant-supported dentures can provide more self-confidence and success in every aspect of your life. With proper care, you should be able to radiate a beautiful smile for the rest of your life — this has been confirmed by scientific studies. However, proper dental care is essential if you intend to enjoy the many benefits of your new teeth for a long time.